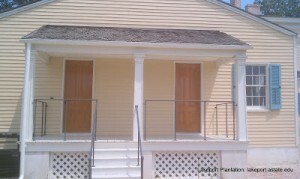 Lakeport’s restoration continues. The final three doors were installed last week: two back doors delivered after restoration last year and one upstairs door that was waiting to be rehung. 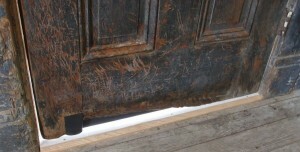 The back doors’ exteriors have been faux grained in oak, as they were originally. 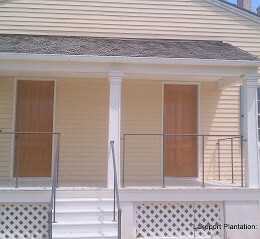 The original black paint on the interior has been preserved. 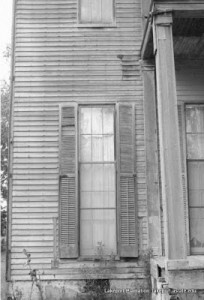 The kitchen door is especially interesting, because of the wear at the bottom. New wood replaced the wear on the exterior, but on the interior the wear can still be seen. Period rim locks have also been installed on these two doors as well. 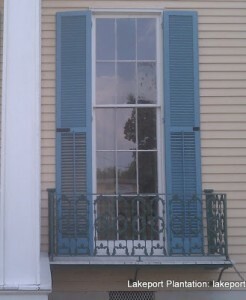 We also had shutter hardware installed. The hardware allows for the shutters to be shut and locked from the inside. Since all but two of the original shutters were gone, we relied on photographic evidence for reproduction of the hardware. In other news, Annie Paden, the grand-daughter of Annie Taylor Worthington, donated her grandmother’s bound sheet music. 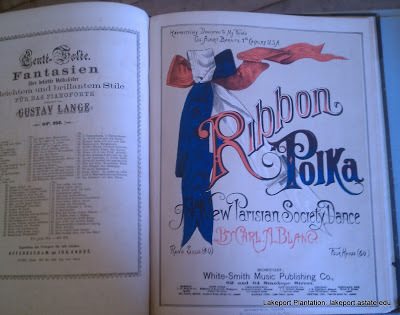 While the book was bound in 1892, much of the music dates to Annie’s time at Lakeport (1877-1888). 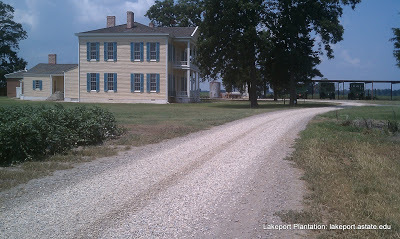 See our blog entry on the Lakeport Piano for more on Annie Worthington. And finally, thank you to Chicot County Judge Mack Ball for adding gravel to our road.